Your website is complete. And it feels so good! Let’s keep it that way. No website is perfectly complete or perfectly secure. Like any marketing resource, they require maintenance. Like any software, they require updates. Most websites have potential “loopholes” that can be a security threat. These security flaws, errors and other vulnerabilities are what malicious users (‘hackers’) can abuse if they’re trying hard enough. The goal isn’t to make a website perfectly secure, that would take more time and money better spent elsewhere. But, some level of security is recommended. Just like your car has scheduled maintenance and your iphone provides software updates, expect that your website will need updates too. Hackers look for “loopholes” or outdated versions of software. 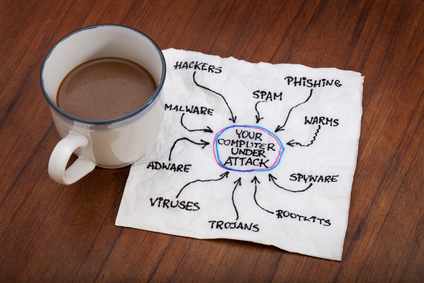 Don’t let your website be vulnerable! Website security is a complicated subject and you don’t want to go at it alone, especially if you’re not quite sure how everything works. Sign up for one of our special WordPress Maintenance & Security Upgrade packages to safely keep your theme, plugins, backups, and other software current. We recommend to update your template at least every 6-12 months, or when the enhanced version of one of your software in provided. Fully managed site configuration and monitoring to safely keep your theme, plugins, backups, and other softwares current. Includes free site restoration as needed. Includes everything included in Monthly Premium Maintenance & Security package above. Managed site configuration and monitoring to safely keep your theme, plugins, backups, and other softwares current. Includes free site restoration as needed. Does not include maintenance hours. Includes everything included in Monthly Standard Security package above. Websites with WordPress version older than 4.2 will be an additional cost for additional updates. This one-time fee is applied to both Yearly and Monthly subscribers. This includes a flat rate for 1 round of updates. Your site will get a 1 time updates to outdated softwares for theme, core WordPress, plugins and a current backup. This package does not include any long term subscriptions or coordinating services. Please request a custom quote. Buy more than 3 upgrades and save 10%. Buy more than 5 upgrades and save 20%. have a good anti-virus and malware scanner installed; have a firewall installed; have the latest Operating System updates. Why This Point Is Important: If your computer has been infected with malware your WordPress login details can be stolen and sent silently to a hacker, who now has full access to your WordPress site. For more information about marketing or design maintenance packages, please contact us or call 888-281-7665 for more a custom estimate.